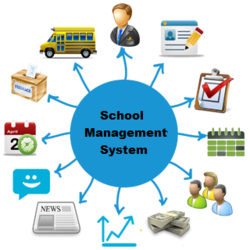 This software will help you systematize the running of schools and make it far more efficient in the process. We have made in depth duties into the various systems opted by schools and institutions and have developed this software to ease the stress behind its working. Our product is very cost effective and very easy to use. User-defined Progress Report Card, Transfer Certificate, Bonafide Certificate, Provisional Certificates etc. Administrator can give the authentication to manager in manager list. Admin can add master fee details of class wise in particular session. Manage fee details of student. View expenses details of school. Facility to view details of student registration. Facility to add new teacher details and update details . Facility to add admission details of student. Add section of particular class. Facility to add fees details. Manager can add expenses details. View report of student details. Facility to view pending fee details. View total fee of particular class..